The People: Who were these Conscientious Objectors? They entered from small towns, rural communities and cities from across the United States, a few leaving work or study in countries outside the US. The largest number were inducted into CPS from Kansas, Pennsylvania, Ohio and Indiana, areas populated by people from the Historic Peace Churches. Few came from the Rocky Mountain states or New England. The youngest men were born in 1928 and 1929; the oldest were born in 1897. Many entered from farming or other agricultural work; some came from professional roles of physician, teacher, social worker, physicist, or lawyer; some left factory work when drafted; others worked in businesses or sales; still others entered from skilled and semi-skilled trades. Some were artists, musicians, writers, draftsmen, journalists; others left college to enter CPS. Some had completed only the primary grades, some high school, and others college and post graduate work. On average, COs entered with more education than did military draftees. Collectively, the men reported religious affiliation with 231 different denominations; nearly 7,000 of the men claiming affiliation with the Church of the Brethren, Friends, or various Mennonite denominational groups. (1947 Directory of Civilian Public Service). Nearly 450 men reported no denominational affiliation. 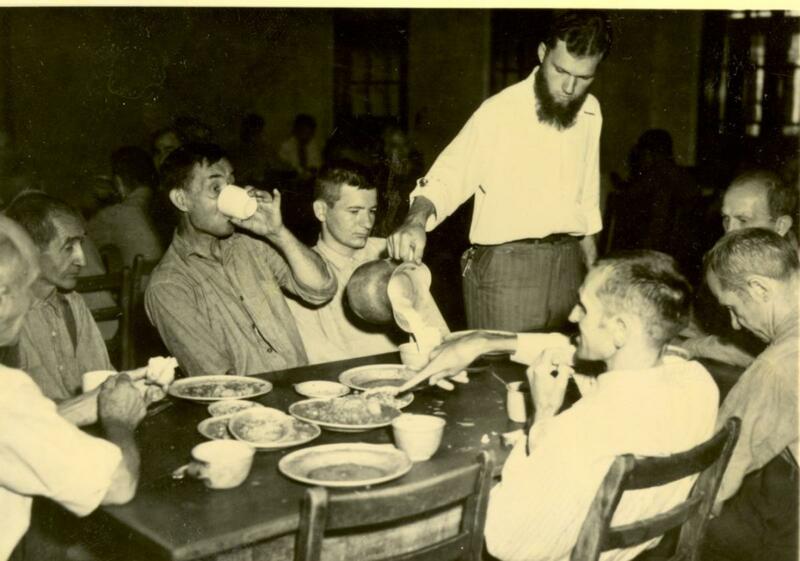 The men in Friends camps proved to be the most diverse, often including those with no religious affiliation as well as Christadelphians, Jehovah’s Witnesses, members of the War Resister’s League or Presbyterians, for example. Women with special expertise joined camp staffs as nurses, dieticians, instructors. Other conscientious objector women served as Summer Service Interns. Some wives and girlfriends followed their men to camp, a number serving on camp staffs, or working in the community. Regrettably, the CPS program did not keep records of women who served in the camps and units, so their contributions are underreported in the story. Philosophically, politically, socially, geographically, economically, religiously and in other ways diverse, the men frequently faced significant challenges in their adjustment and socialization within the camps. When you click on a man’s record, you will find not only his birth year, but also the community from which he entered, denominational affiliation upon entry if stated, when he entered and left CPS, any spousal information if supplied, camps and units where he served, his occupation upon entry as well as his occupation after CPS if he supplied that information, any higher education information if given, if he walked out of camp, went to prison, or left CPS to join the military in some capacity, and any comments pertinent to the record. The website permits you to search by any of those categories. The CPS worker database was used with permission from the Center on Conscience and War, which also published The Directory of Civilian Public Service Revised 1996. That directory included a supplement referred to as CPS OTHER DIRECTORY 1996. Found on pages O-1 through O-12 just prior to Appendix A, it includes the names of men and women “associated with CPS” as directors, dieticians, matrons, nurses, friends, including widows and some family members. The creators of this website will include the names in the database as the website develops further, in order to give visibility to those people who supported COs in a number of roles.